The railway sidings are located on the opposite side of Station Road to the station platform. 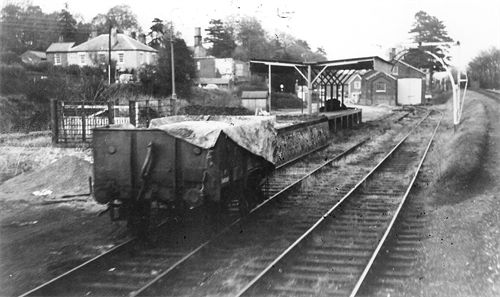 All signs of the sidings and goods shed have long since been removed and, most recently, the building of houses at the far end of the site removed all traces of the small platform used for unloading goods seen in the photograph. 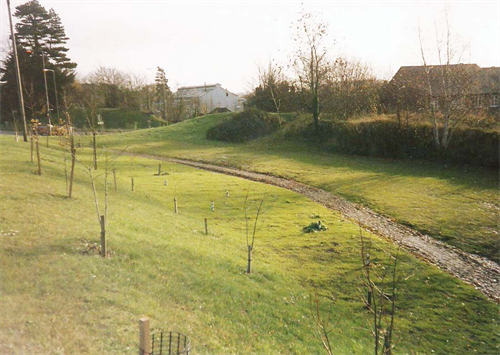 The railway embankment is still in place and there are numerous specimens of trees on it and around the site. The site is owned by the Parish Council and forms, with the embankment on the other side of the road, a “green” entrance to the village. It is an area where children can play at a safe distance from the road. Those interested in trees can find 21 different varieties from Alder to Yew, scattered around the site. You can download a map and list of the trees here. 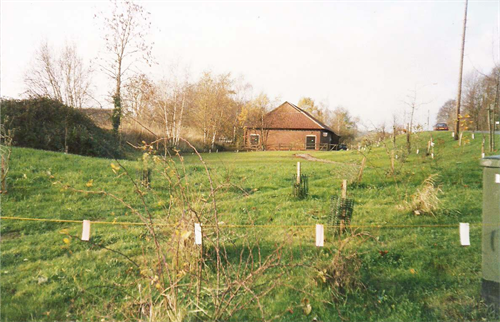 The parish council won an award in 1990 when it converted the abandoned railway sidings into a green open space planted with the trees. 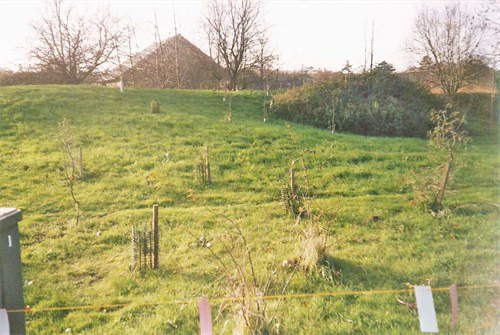 The images below show the site just after it had been completed and before the trees had matured. They were taken in 1986.